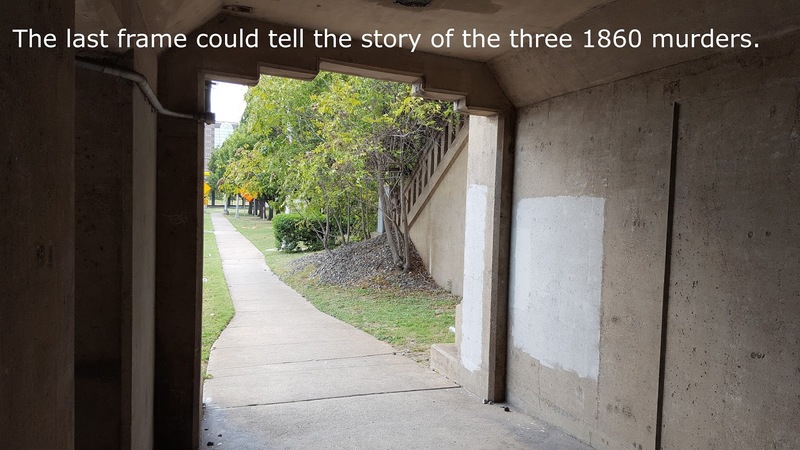 In 1860 three Black men were murdered on the banks of the Trinity River near downtown Dallas by a crowd with no trial and no ability to defend themselves against false charges involving insurrection and burning building in Dallas. 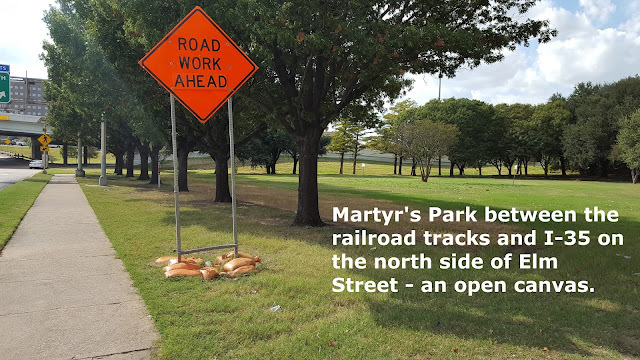 In 1991 the land they died on was renamed Martyr's Park. 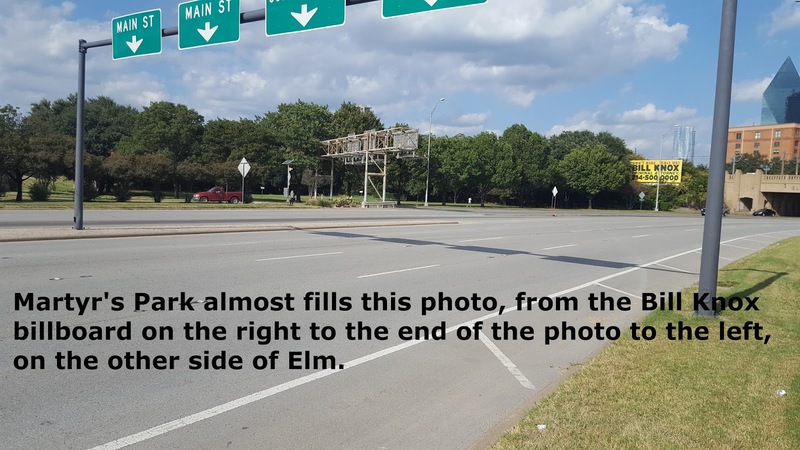 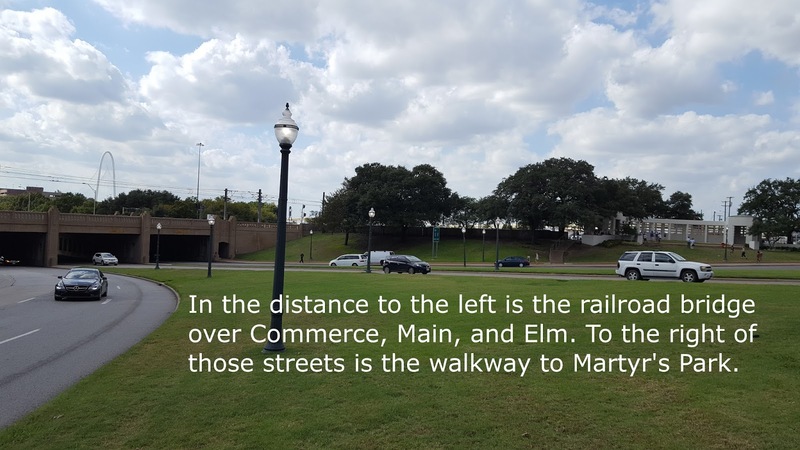 It is downtown Dallas to the North side of Elm street as you drive west and go under the triple underpass, under the railroad bridges. 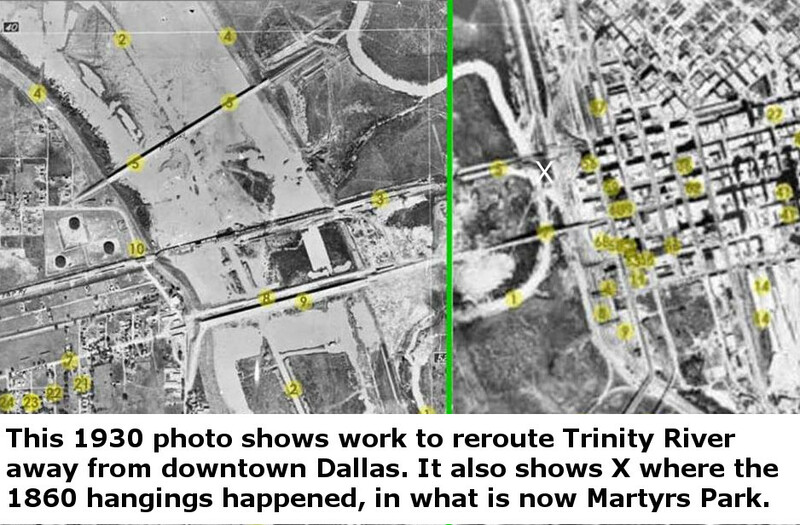 This week a long overdue article was written saying in summary, why is not more of this story known, why is this history hidden? 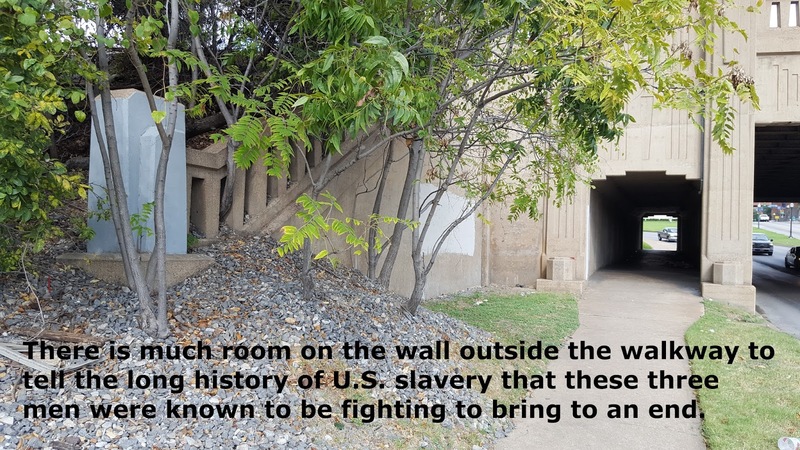 See that Dallas Morning News article at https://www.dallasnews.com/opinion/commentary/2017/10/06/dallas-hates-erasing-history-much-anyone-know-park-three-slaves-hanged . 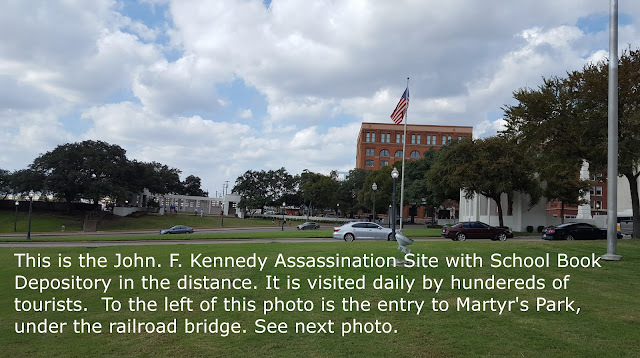 It is very appropriate that it is simply on the other side of the tracks from the tragic location of the J. F. Kennedy Assassination. President Kennedy had introduced the Civil Rights Act of 1964 to the nation in June of 1963 in a radio address. 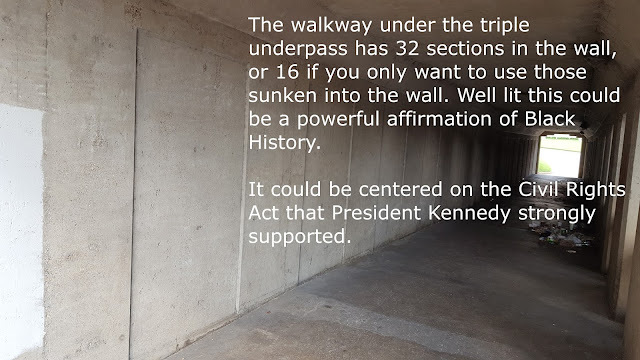 He changed the basic civil rights issues from legal issues into moral issues. Remember, this was a time of when everything was segregated by race: schools, neighborhoods, lunch counters. 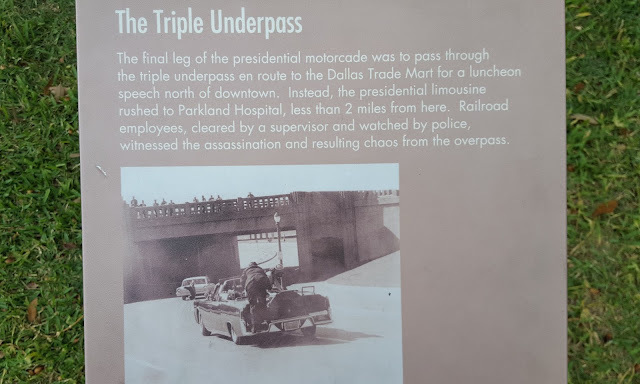 Tragically, his death may have helped speed the signing of this monumental legislation within 9 months of his 11-22-63 death, on July 2, 1964. If Dallas were to build the long overdue memorial for Martyr's Park, they could include the thousands who died due to the racism that had plagued the US for centuries, with the three men who died in 1860, and others killed at public gatherings in Dallas, as a focus. A Historical Marker could be placed on the east side entrance to the pedestrian tunnel under the railroad tracks. 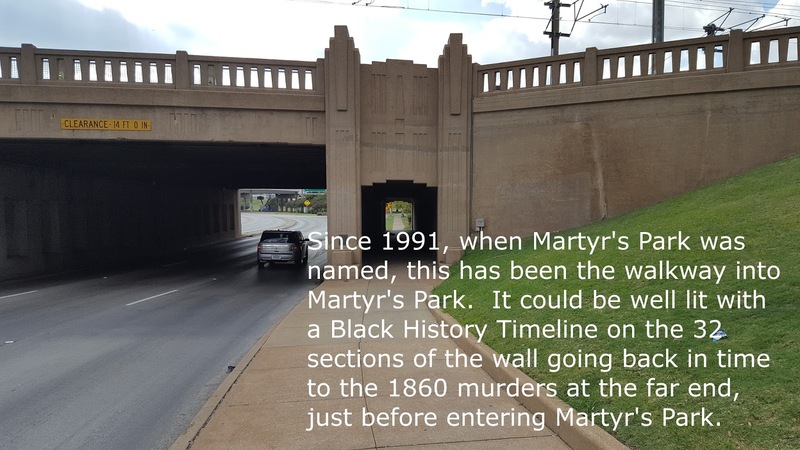 A Black History Timeline, similar to the one now in the Shotgun House at Dallas Heritage Park, could be placed into the walkway under the railroad track and well lit so people could easily follow the history back to 1860. See photos from the location below to better explain. 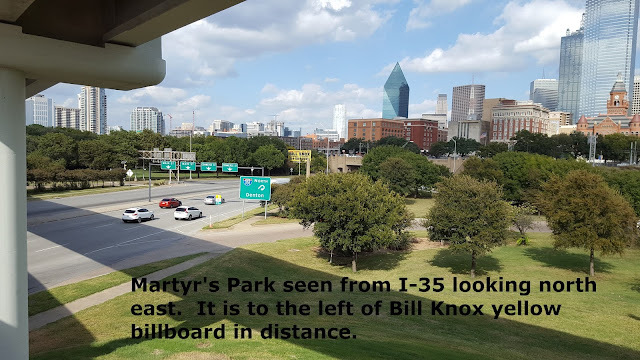 This is Martyr's Park and the area surrounding it. 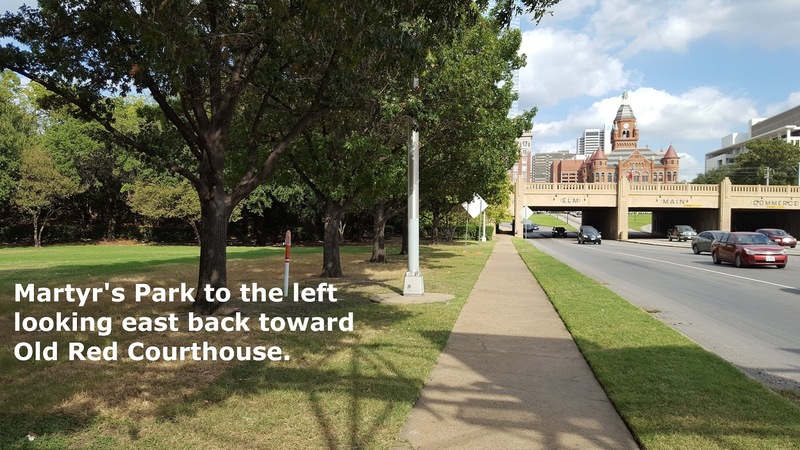 It is an open canvas for Dallas to write on and preserve an accurate record of our history, and our dreams for the future. 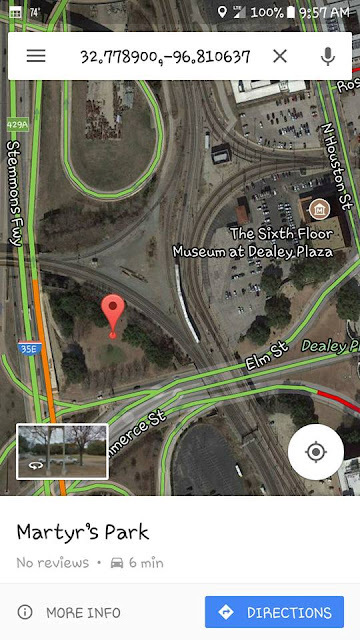 Done well it will become a major tourist attraction in its own right. Other opinions are welcome as to the accuracy of the position of the "X" in the above photo. 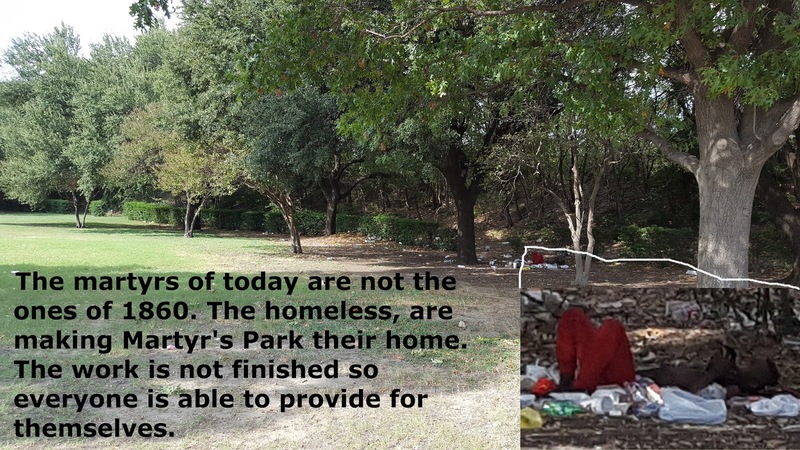 Much has changed.